One of the most popular icon themes - Faenza -, was updated today and it now includes icons for the latest GNOME 3.2 applications like Gnome Documents, GNOME Contacts, GNOME Online Accounts and more. There are also new icons for Clementine, Xterm, Wunderlist, Scribes, Steam, Tracker, reworked icons for Gparted, Gconf Editor and folder icons. But that's not all! 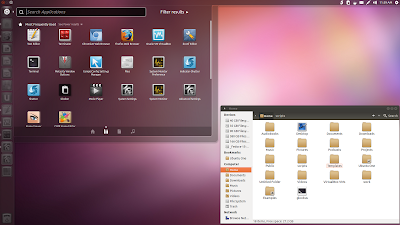 Faenza 1.1 also comes with two new themes for better integration with Unity (in Ubuntu 11.10): Faenza-Ambiance and Faenza-Radiance. To be able to change the icon theme in Ubuntu 11.10 (and other Linux distributions that use GNOME 3), make sure you've installed GNOME Tweak Tool as explained in our tweaks post. 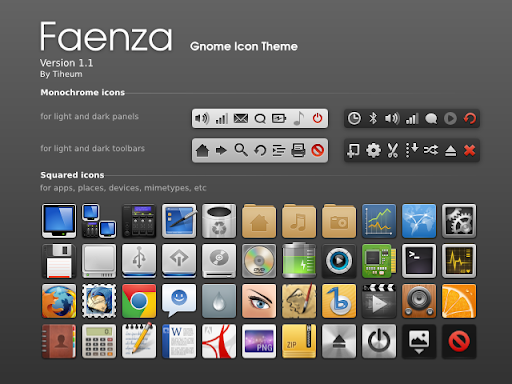 For other Linux distributions: download Faenza via GNOME Look.